Independent research exploring drug use as a cultural practise and critically assessing policy. Dr Geoff Noller is a Dunedin-based independent researcher with an interest in the social use of drugs and drug policy. A medical anthropologist, he graduated with a PhD from the University of Otago’s Department of Psychological Medicine in 2008. His thesis examined cannabis use in New Zealand, incorporating the perspectives of cannabis users, drug policy reformers and government drug policy personnel. Following completion of this studies Geoff established his research consultancy – Substance Use and Policy Analysis (SUPA) – specialising in psychotropic drug research, with an emphasis on drug use as a cultural practice. He runs his own research projects as well as offering project management services for related research in both the government and private sectors. Geoff has a strong commitment to harm reduction. 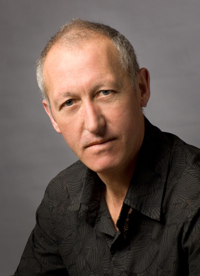 He provides Expert Witness services for court cases involving drug use, actively participates in drug user organisations (he chairs the Dunedin Intravenous Organisation’s [DIVO] Reference Group), and regularly presents his work and contributes to seminars, fora and conferences in New Zealand and internationally.